On June 19, 2017 the US Supreme Court in Matal v. Tam, 582 U.S._ (2017), affirmed the ruling of the Court of Appeals for the Federal Circuit. 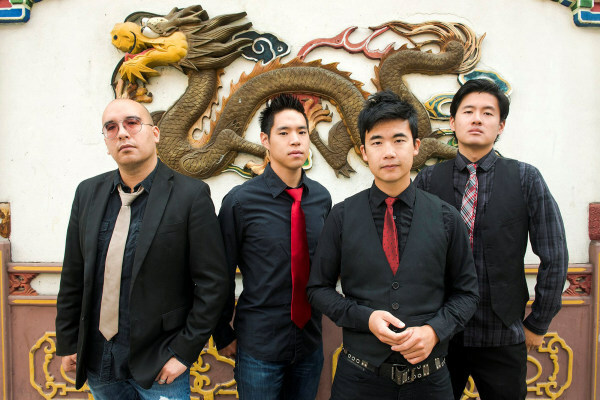 Simon Tam, the lead singer of the Asian rock group “The Slants”, chose the name in order to “reclaim” the term an drain its denigrating force as a derogatory term for Asian persons. Tam sought federal registration of the mark “THE SLANTS.” The Patent and Trademark Office (PTO) denied the application under a Lanham Act provision prohibiting the registration of trademarks that may “disparage . . . or bring. . . into contemp[t] or disrepute” any “persons, living or dead.” 15 U. S. C. §1052(a). Tam contested the denial of registration through the administrative appeals process, to no avail. He then took the case to federal court, where the en banc Federal Circuit ultimately found the disparagement clause facially unconstitutional under the First Amendment’s Free Speech Clause. The Supreme Court held that disparagement clause violates the Free Speech Clause of the First Amendment. Speech may not be banned on the ground that it expresses ideas that offend. Opinion at page 2. When deciding whether a trademark is disparaging, an examiner at the PTO generally applies a “two-part test.”The examiner first considers “the likely meaning of the matter in question, taking into account not only dictionary definitions, but also the relationship of the matter to the other elements in the mark, the nature of the goods or services, and the manner in which the mark is used in the marketplace in connection with the goods or services.” Trademark Manual of Examining Procedure §1203.03(b)(i). “If that meaning is found to refer to identifiable persons, institutions, beliefs or national symbols,” the examiner moves to the second step, asking “whether that meaning may be disparaging to a substantial composite of the referenced group.” Ibid. If the examiner finds that a “substantial composite, although not necessarily a majority, of the referenced group would find the proposed mark . . . to be disparaging in the context of contemporary attitudes,” a prima facie case of disparagement is made out, and the burden shifts to the applicant to prove that the trademark is not disparaging. Ibid. The PTO has specified that “[t]he fact that an applicant may be a member of that group or has good intentions underlying its use of a term does not obviate the fact that a substantial composite of the referenced group would find the term objectionable.” Ibid. The PTO argued that the disparagement clause was protected as “government speech” but the Supreme Court rejected that argument and held that trademarks are private, not government speech. The PTO does not select trademarks to be registered, the applicant’s select the marks. Holding that the registration of a trademark converts the mark into government speech would constitute a huge and dangerous extension of the government-speech doctrine. The PTO and amici argued that the disparagement clause encourages racial tolerance and protects the privacy and welfare of individuals. The Supreme Court responded that no matter how the point is phrased, it unmistakable thrust is this: The Government has an interest in preventing speech expressing ideas that offend. And, as we have explained, that idea strikes at the heart of the First Amendment. Speech that demeans on the basis of race, ethnicity, gender, religion, age, disability, or any other similar ground is hateful; but the proudest boast of our free speech jurisprudence is that we protect the freedom to express “the thought that we hate.” United States v. Schwimmer, 279 U. S. 644, 655 (1929) (Holmes, J., dissenting). Thus, the holding of the Federal Circuit was affirmed. This case has obvious important implications to the now pending Blackhorse v. Pro-Football, Inc., 112 F. Supp. 3d 439 (E.D. Va. 2015), in which the court upheld the PTO cancellation of the mark REDSKINS based on the disparagement clause. That case is now pending before the 4th Circuit Court of Appeals in Richmond, Virginia.